Please read on for an overview of the inspiration, the events of 2014 and the plans for 2015. 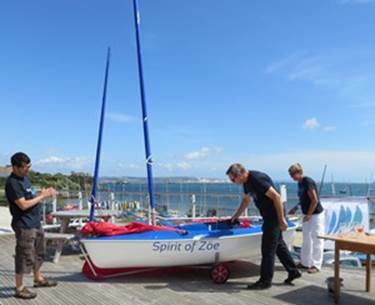 Project Zöe remembers a special person and supports financially a remarkable organisation (Chesil Sailability). Zöe, a dinghy sailor and Lloyds Register Ship Surveyor, succumbed to her third bout of cancer at the end of 2013. In thanks for her life, in February 2014, the Castle Cove SC Ladies Sailing group decided, through a series of fund-raising events, to purchase a much-needed Hansa 303 for Chesil Sailability. 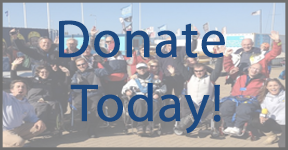 The money raised, together with the many very generous donations given in love and appreciation of Zöe and Chesil Sailability enabled PZ to purchase the safety RIB needed to join those owned by supporters of the charity. Thanks to Ribcraft, a virtually new, perfect sized RIB was delivered in November. The Hansa ‘Spirit of Zöe’ and RIB ‘Zöe’ form part of a growing fleet that brings so much joy to sailors and volunteers alike. Project Zöe recognises the on-going maintenance that such a fleet requires thus, rather than closing the book, the Project will amalgamate with Chesil Sailability’s other fund-raising activities. 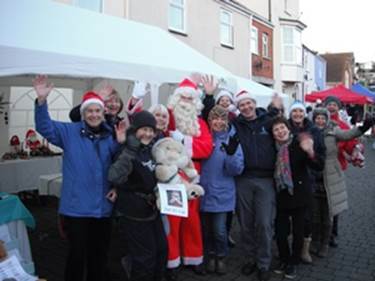 Fund-raising thoughts for the future are still tentative but include a hair- salon day, a wine-tasting, a Rodwell Trail fete stall (in conjunction with Friends of the Trail) and repeats of the Esplanade stall and Wyke Square Christmas Fayre. We look forward to sharing again, and with a wider group, the ‘buzz’ we experienced in 2014.